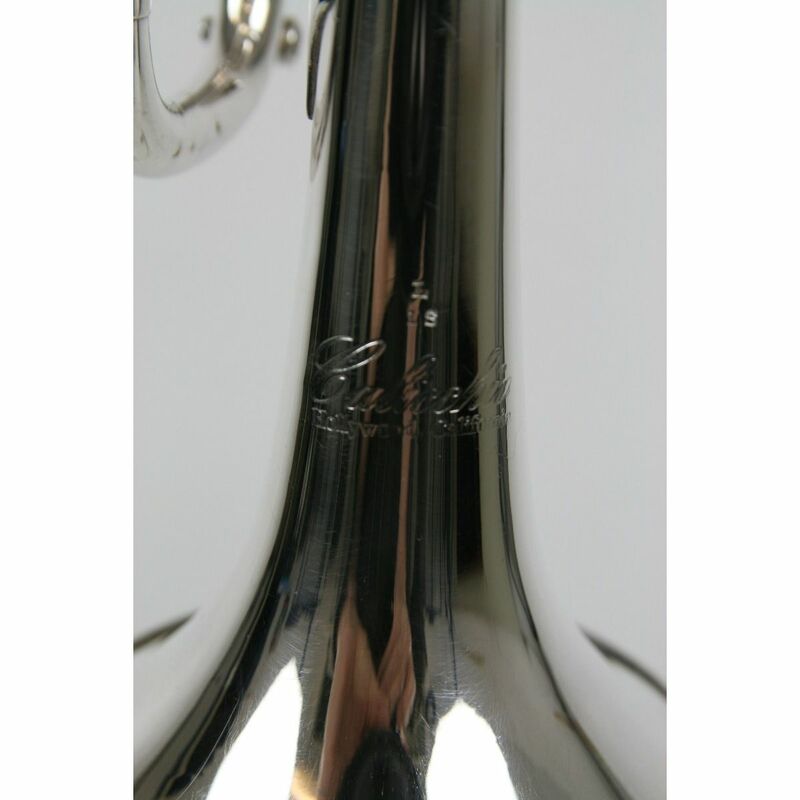 This is the bell that set the standard for all commercial bells to follow. 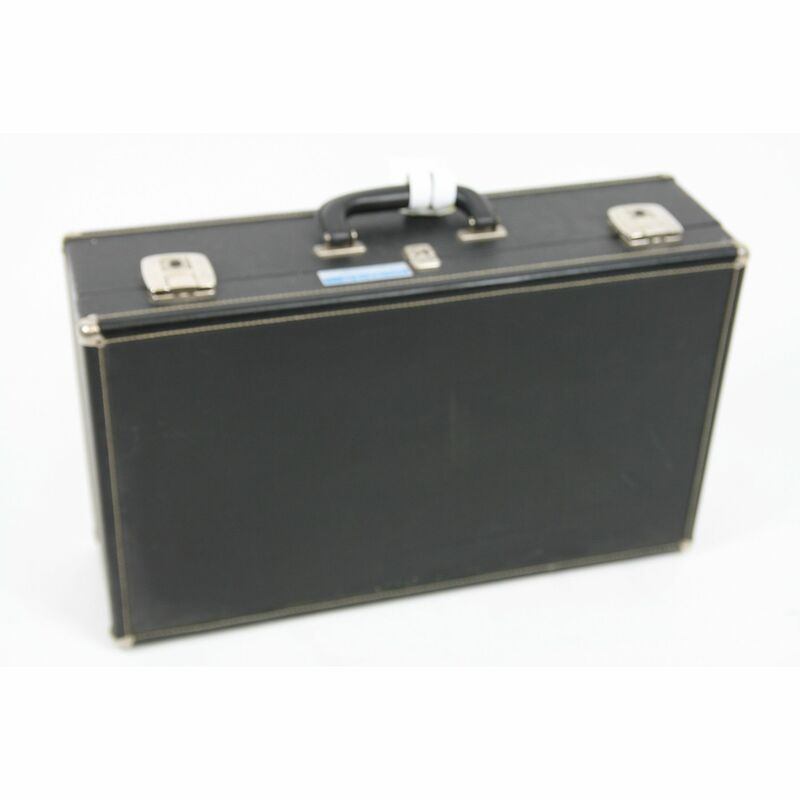 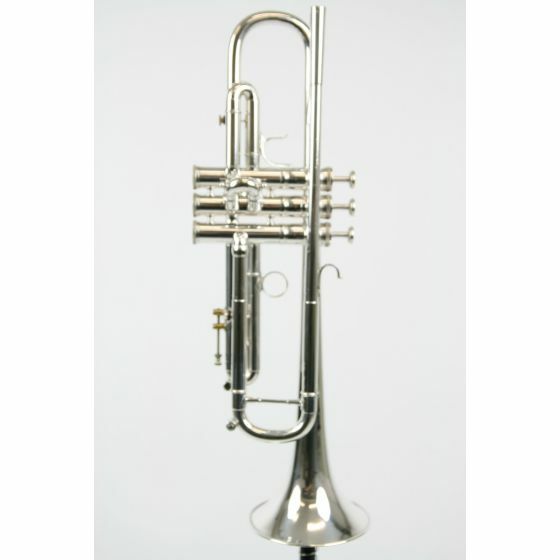 Developed in the 60's by Domenick to meet the demands of studio trumpet players in Los Angeles, it remains the mainstay of the professional commercial trumpet playing community to this day. 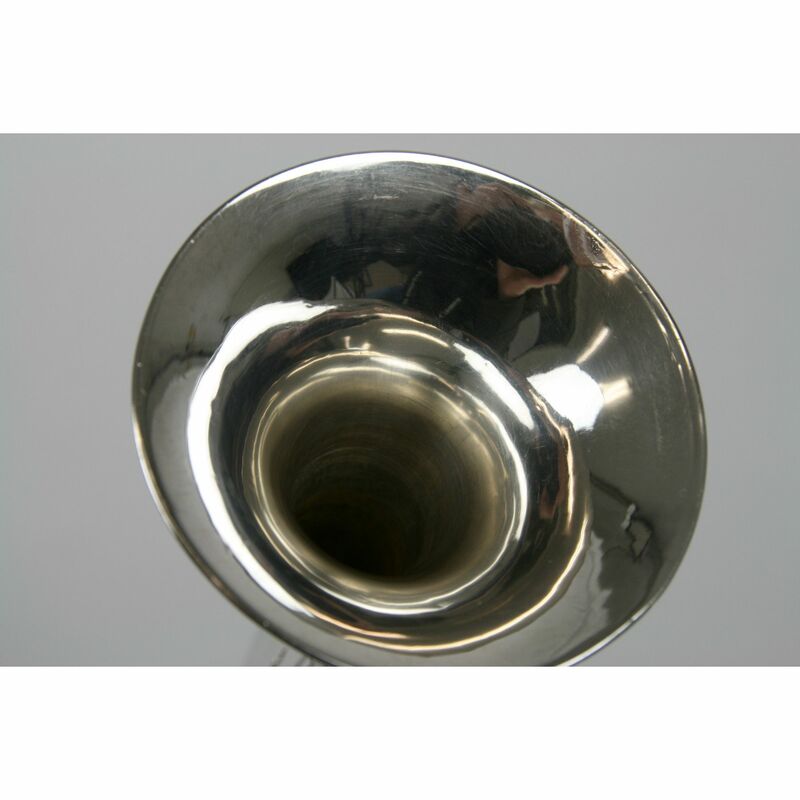 Its unique bell flare design gives projection, focus and sound quality unsurpassed in the industry. 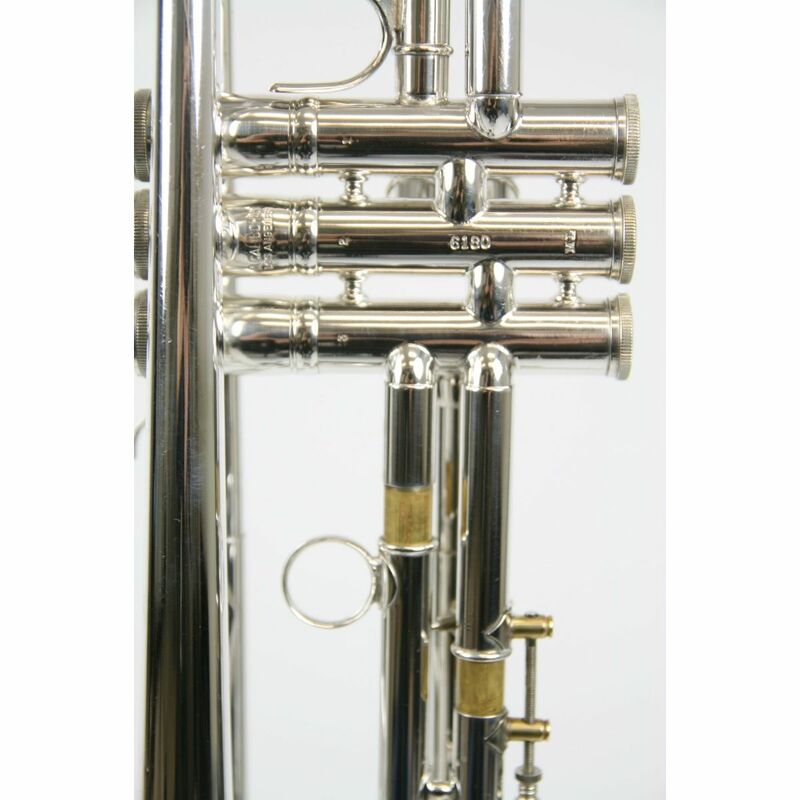 It can be played with any leadpipe and will produce the core, density and sparkle that has been cherished by top professionals for over 40 years. 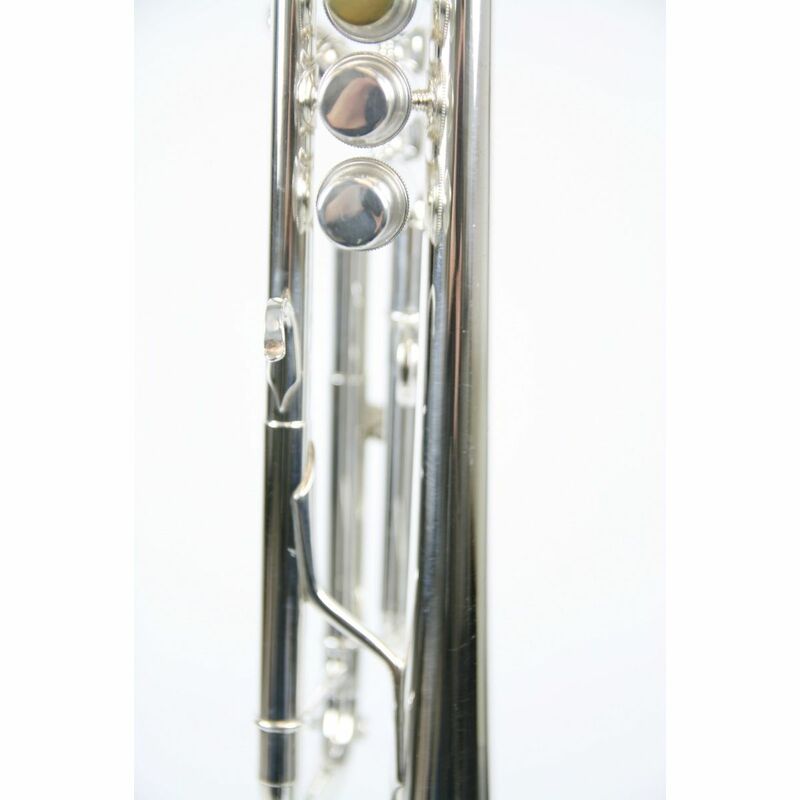 This is the world-renowned leadpipe - great for any situation. 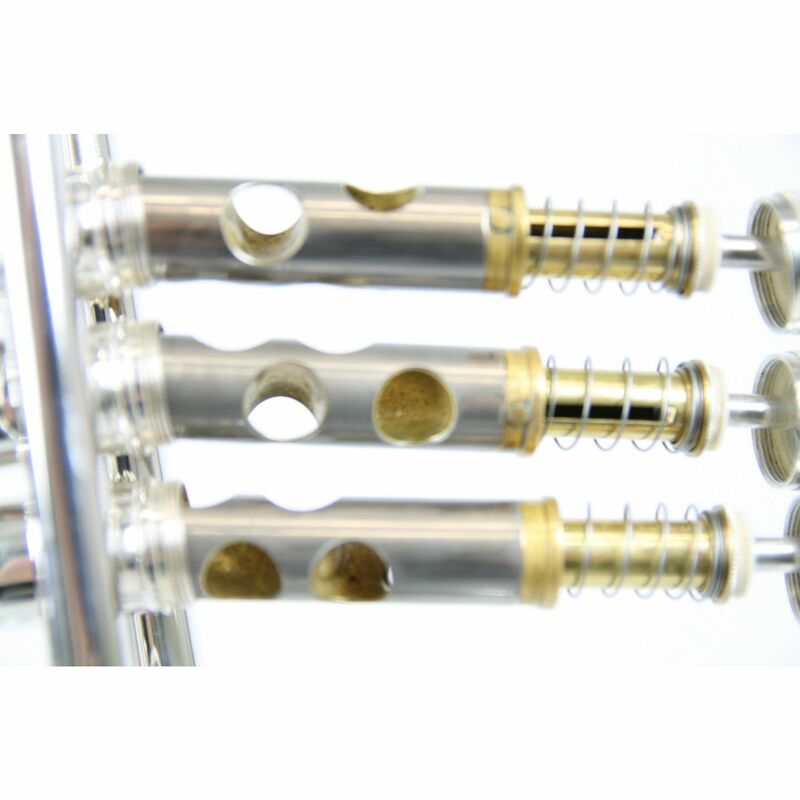 Its unique design provides lightning-quick response with a very open air column. 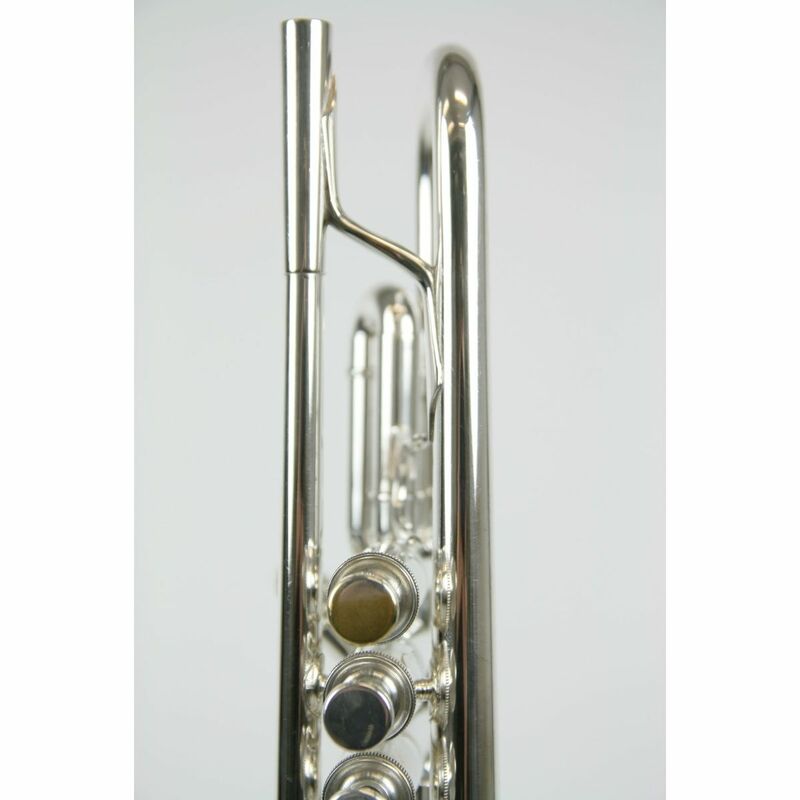 The 2 pipe gives the player the ability to play at any volume with immediate, clean attacks and a large, focused sound. 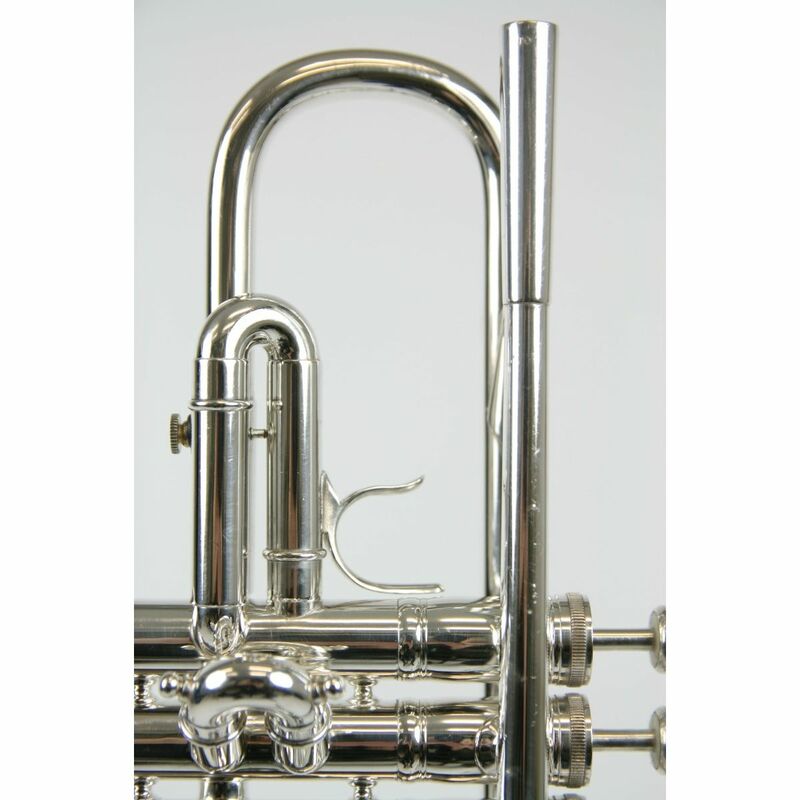 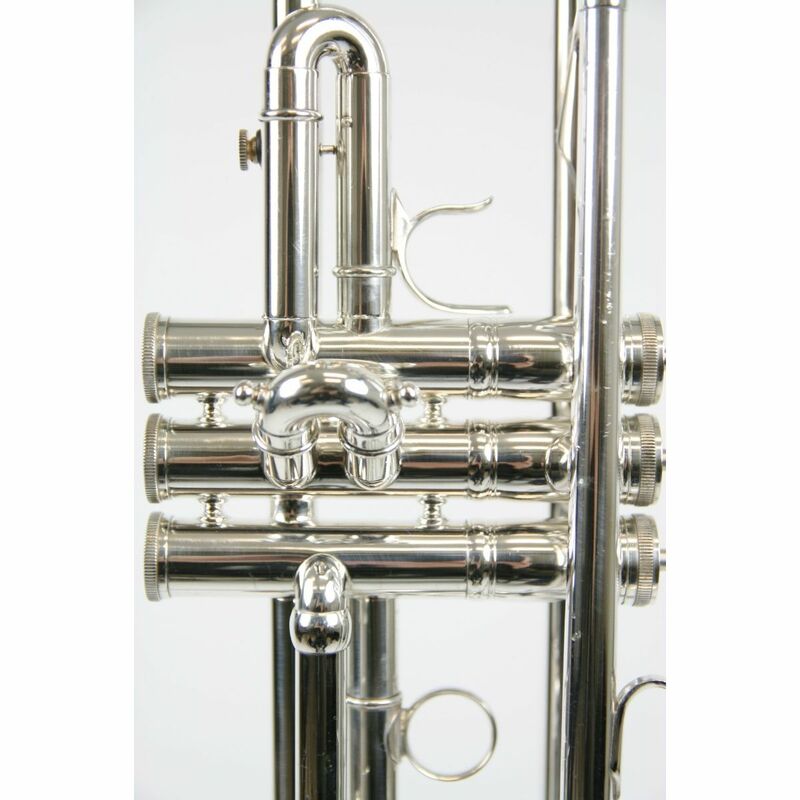 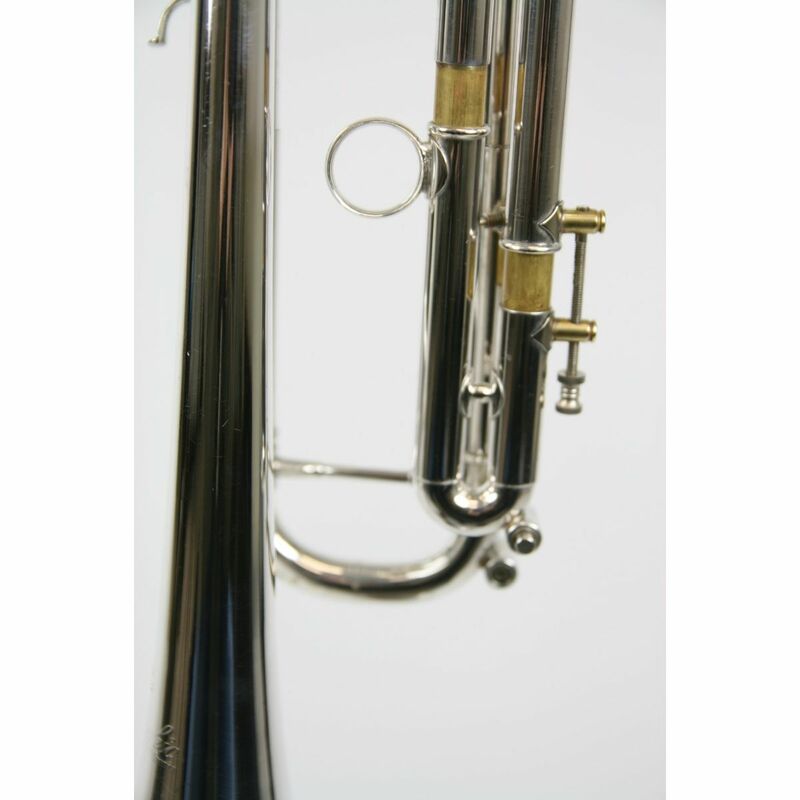 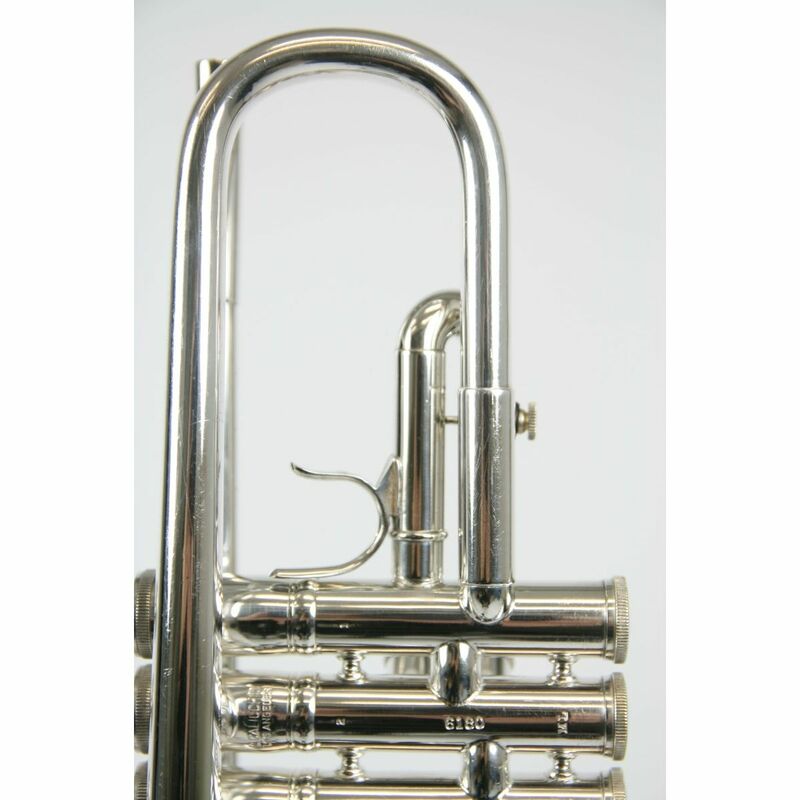 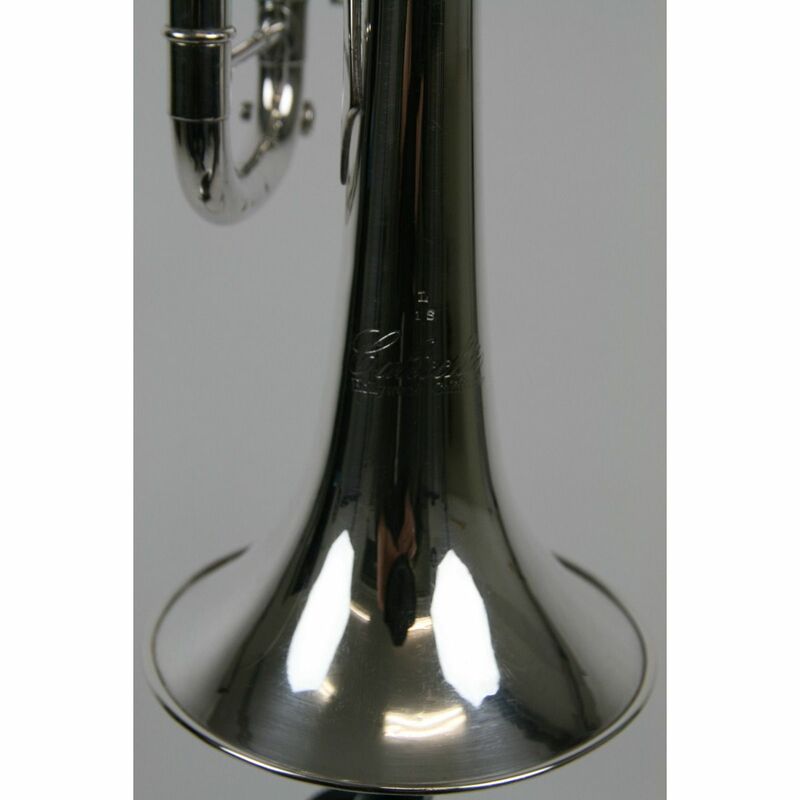 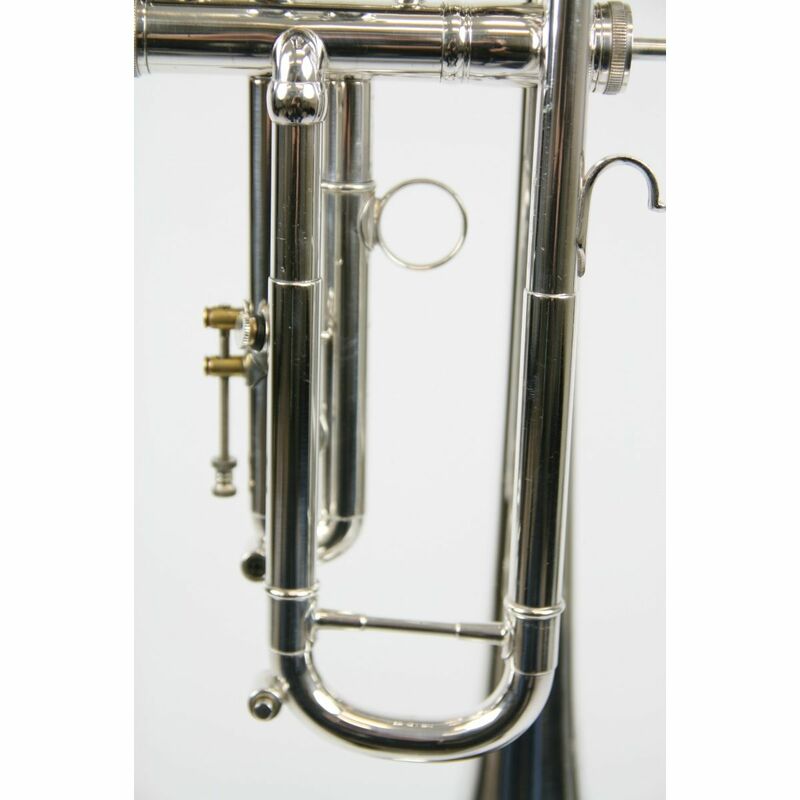 Trompet Bb Calicchio 1S2 verzilverd, mooi instrument voor € 2.195,00 bij https://www.vanderglas.nl/.